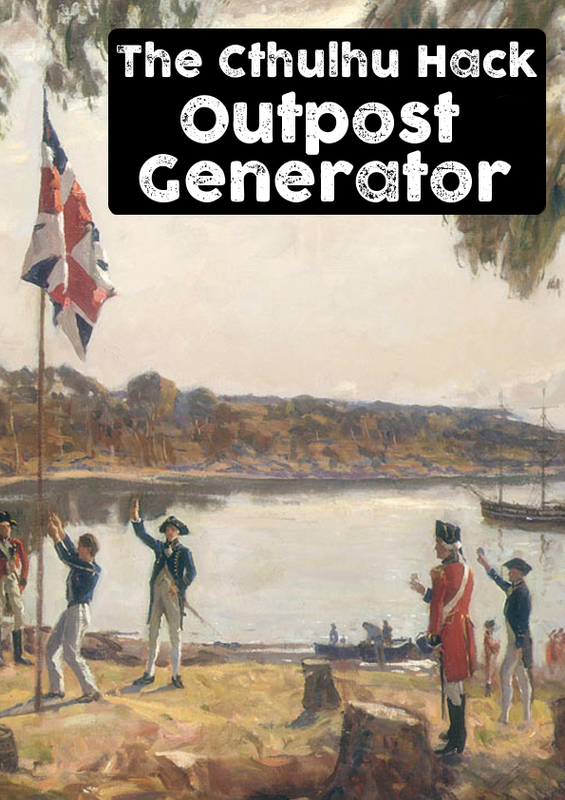 A small release on RPGNow and DriveThruRPG today in the form of the Outpost Drop Table generator for free settler / colonial outposts, suited to pre-modern adventure environments – like The Cthulhu Hack: Convicts & Cthulhu – but open to other possibilities. Drop five or six 6-sided dice into the table and read off the result, which tells you the building and something unusual about it – like the strange native burial mound near the church or oddly weathered walls of the hospital. Presented on a single side in A4 format, you can use it this size or blow it up to A3 (or larger!) for a better drop experience.